Jabalya R. Camp - Where is Jabalia Refugee Camp Located? One of the Villages/Cities of Gaza District, find here important information and profiles from Jabalya R. Camp. Where is Jabalya R. Camp Located? 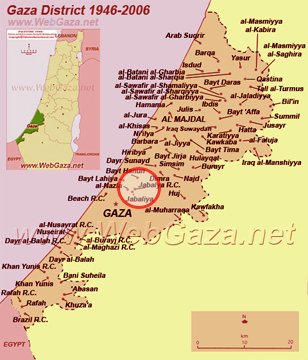 Jabalya R. Camp is located in the south part of Gaza District, north of Gaza, northeast of Jabaliya - al Nazla, as shown on the map.